Beavers began her performing career as a minstrel show singer, but when she moved to Hollywood in the early 20s, it was as a maid to actress Leatrice Joy. Like Hattie McDaniel and most other Black actors of the period, Louise Beavers was limited to character roles, most often playing a "mammy" a subservient but jovial African-American maid or cook. Like McDaniel, she was heavy and dark-skinned, and her characters were extremely cheerful, loyal, and asexual. Before long, though, she made her feature debut in "Gold Diggers" (1923). She acted in other silent films such as the 1927 version of "Uncle Tom's Cabin" but really made her mark with the coming of sound. In over 160 films between 1929 and 1960, working in every genre and at every studio, Beavers played maids. Louise Beavers was born in Cincinnati, Ohio, on March 8, 1902 and moved with her family to the Los Angeles area at age 11. A student at Pasadena High School and a choir member at her local church, her mother, a voice teacher, trained Louise for the concert stage but instead the young girl joined an all-female minstrel company called "Lady Minstrels" and even hooked up for a time on the vaudeville circuit. A nursing career once entertained was quickly aborted in favor of acting. Her first break of sorts was earning a living as a personal maid and assistant to Paramount star Leatrice Joy (and later actress Lilyan Tashman). By 1924 she was performing as an extra or walk-on in between her chores. A talent agent spotted her and gave her a more noticeable role in Uncle Tom's Cabin (1927). She went on to gain even more visibility, but was invariably stuck in the background cooking or cleaning after the leads. Louise Beavers appeared in over 160 films from the 1920s through the 1950s, most often as a mammy stereotype in the role of a maid, servant, or slave. 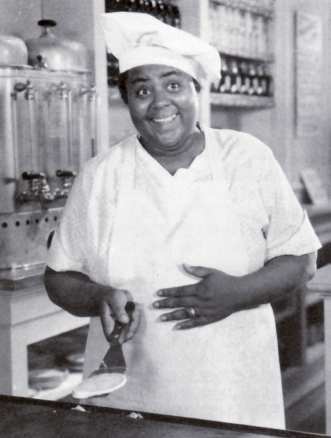 Beavers' most famous role was her portrayal of Delilah Johnson, the housekeeper whose employer transforms her into an Aunt Jemima character for an advertising campaign in the 1934 film Imitation of Life. The Fannie Hurst novel about the complex bond between an enterprising white businesswoman (Claudette Colbert) and the black woman (Louise Beavers) who becomes her housekeeper and supplies the secret formula for pancakes that becomes the basis of Colbert’s character’s empire. The relationship between the silky, slinky Colbert (on loan from Paramount and bringing that studio’s Deco glamour to this Universal production) and the saintly, self-sacrificing Beavers is fascinating in its ambiguity. Partners in business, the two women lead entwined lives, yet Beavers’s character remains stoically subservient, a point that Stahl elegantly reinforces when the characters, sharing an East Side town house in Manhattan with a Woody Allen view of the Queensborough Bridge, say good night: Colbert climbs the grand staircase to her upper-story bed chamber, while Beavers descends to her windowless room in the basement. One of the film's main storylines was the conflict between Delilah and her light-skinned daughter Peola (played by Fredi Washington), who wanted to pass for white. Imitation of Life was the first time in American cinema history that a black woman's problems were given major emotional weight in a major Hollywood motion picture. The vast majority of Beavers' other film roles, however, were not as prestigious. Along with Hattie McDaniel, she became the on-screen personification of the "mammy" stereotype: a large, matronly black woman with a quick temper, a large laugh, and a subservient manner. The studio forced her to eat extra servings of food so she could play the "black mammy" roles that were available to actresses of color at the time. Beavers appeared in more that 160 films. Although Beavers did not approve of how her characters were scripted, she nonetheless continued appearing in films, because, as her contemporary McDaniel once stated, "it's better to play a maid than be a maid." 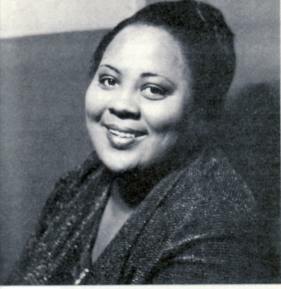 In 1976, Louise Beavers was inducted posthumously into the Black Filmmakers Hall of Fame.